Home » Search » Is 2014 The End of Guest Blogging? It makes sense. If everyone starts doing something that is very popular then in the end it will become abused and overused. The strategy behind guest blogging from an SEO perspective has always been about gaining links that would help boost your rankings. It’s a tactic used by many SEO agencies and I’ll admit that I’ve done my fair share. But Google has not made it easy to rank in the search engine results page. For many start-up websites it is impossible to rank and compete, unless you engage in activities such as guest posting. He’s right. Guest posting has indeed been turned from being a legitimate practice, whereby you would be a guest author on big sites such as TechCrunch, WSJ, Mashable etc and you’d give your professional view on a subject of your expertise. This still happens, but this has been outweighed by the fact the majority of guest posts are now for those lovely dofollow anchor text links. The last bit of Matt Cutt’s post is actually quite informational. Is he suggesting that there will be an algorithmic update of some sort that would dive into the world of guest blogging — like I had predicted just only a week ago? Maybe and very likely, yes. I also see Google devaluing guest posts and lowering their effectiveness when it comes to rankings. I doubt we’ll see Google penalising every website that has used guest posting as a method to increase rankings. In effect, the only websites that will be hurt from this are for sites that have gained the majority of their backlinks by guest posting on other blogs in a way that Google considers spammy. Will it be a future tactic that SEOs can engage in? Well, that’s a pretty good question. After all, Cutts has always insisted that it’s low quality guest posting that would get a website in trouble. How about high quality guest posting? I guess that would depend on one’s definition. But from my perspective and from listening to Matt Cutts over the years, he talks a lot about article spinning or re-writing content in many of his videos. And yet doesn’t really address the fact that there are people who write really well and will do guest blogging for the same motives on high quality websites. Whatever the case, I’ll be following this closely. It’ll be quite interesting to see how Google determines exactly what a low quality guest post is. See the discussion I posted on /r/BigSEO, where industry professionals are giving their opinions on this. James, I thought I told you to stop reaching out to Matt Cutts! I agree with you on one hand but share the sentiments of several others here. I get spammy guest blog requests all the time. I’m mean constantly. It is a slight annoyance but I just sent them to spam. Similarly I get blog comment spam all the time. Their spam gets filtered etc. Not approved. But that doesn’t mean every blog comment is spam, just because I get a ton of spam comments that never see the light of day. So in other words I just ignore the spam guest posts requests, just as I ignore the spam comment requests. So yes there are many people that are being spammy guest blogging. No doubt about it. And no doubt it can be annoying. But I’m smart enough to know when someone is just wanting a quick link from me and I just say no when that is the case. 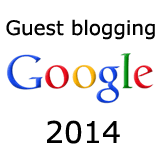 Just because there are a lot of spammers and individuals just looking for links, that should not invalidate all guest blogging as a whole practice. This is far too broad a stroke as some one in the comment above said. You should not lump all guest blogging into the spam category just because spammers exist. Also just because you got an email offering money for a guest post does not mean all guest posts are paid links. Totally in agreement with you on that. It seems he is specifically talking and emphasising the point that it is SEO based guest blogging that is annoying him the most. I doubt in his outburst that he intended to also group in legitimate guests posts. Not everyone who sends in guest posts has the sole intention of gaining backlinks. If you’re legitimately trying to share what you know with another blogger’s audience then great – there’s definitely nothing wrong with that. It will never be dead because if you have good content so you can post in High Quality relevant sites. It is still a great way for new bloggers to get their name out in front of others by guest blogging on other known blogs of their niche.